The first one hectare of Serrat vineyard was planted in 2001 with Pinot Noir, Chardonnay, Viognier and a hand full of Grenache vine. In 2003 a second block of 1.6 acres was planted with Shiraz. In 2007 a further planting of Mendoza Chardonnay was completed. In 2010 another acre was planted in with an eclectic mix of Nebbiolo, Barbera, Malbec and Grenache Noir. In 2016, we planted the first Grenache Blanc vines in Victoria. Then again in 2017 we added one further acre of Nebbiolo and Shiraz. 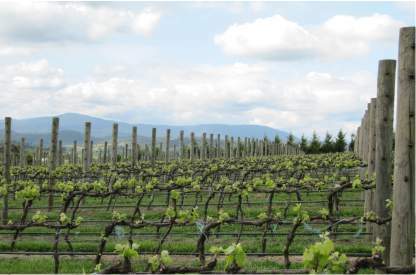 Our aim is to truly reflect the potential of the Serrat vineyard site in our wine. Therefore, we decided to plant at 8,800 vines/hectare, more than four times the average density you will generally find in Australia. This is not a new vineyard management concept, but the way that the great vineyards of Europe have been managed for hundreds of years. But it is a lot more work! We believe that each wine is a true representative of the site, the variety and the vintage. 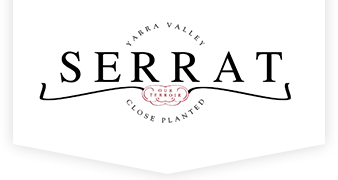 The Serrat site is situated 3 km's from the Yarra Glen township in the heart of the Yarra valley. The site is North facing. The soils are grey to grey brown clays with buckshot gravels evenly dispersed through the topsoil. The subsoil is red-brown clay impregnated with ancient deteriorated mudstones. The soil is low in fertility. Serrat is owned and cared for by Tom and Nadège Carson with the welcome help from Kate Thurgood. Tom graduated as winemaker in 1991 and after a few vintages in Burgundy and at James Halliday’s Coldstream Hills, he became the Chief winemaker at Yering Station. During the twelve years he worked at Yering Station, Tom has been instrumental to the style and successes of the wines. Some highlights of Tom career at Yering Station was to have his team awarded Winemaker of the year at the 2004 Wine and Spirit International Competition in London, and in 2002, he Duxed the Len Evans Tutorial. 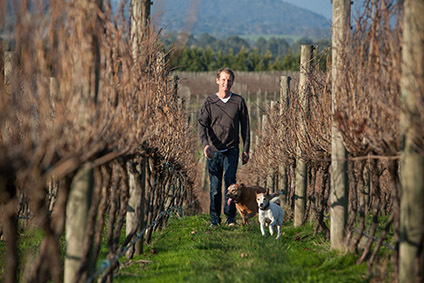 Since July 2008, Tom is general manager and chief winemaker for the Kirby Family Vineyards best known for Yabby Lake in the Mornington Peninsula and Heathcote Estate. In addition to his responsibilities with KFV and Serrat, he judges a number of competitions in the national and international show circuit and was a member of the Qantas wine panel for twelve years. But his claim to fame is to be the first winemaker to be rewarded a Jimmy Watson trophy for a Pinot Noir with the 2012 Yabby Lake Block 1. Nadège was groomed to take over the family vineyard in the southern France appellation Banyuls. 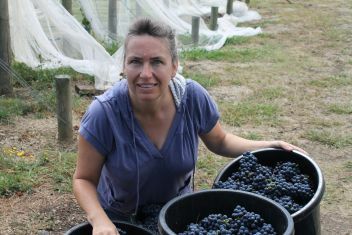 After completing a winemaking, wine marketing and her winery managements degrees, she came in Australia for a vintage in 1990 and never quite made it back. After a few more vintages in Australia she became the marketing manager for Yarrabank in 1993 and Yering Station in 1996 until 2004. She worked as a Strategic Project Manager for the Rathbone Wine Group up to 2008 and now is concentrating on their two daughters, Serrat and Mercurey Australia the French barrels import business that Tom and Nadège set up in 1992.